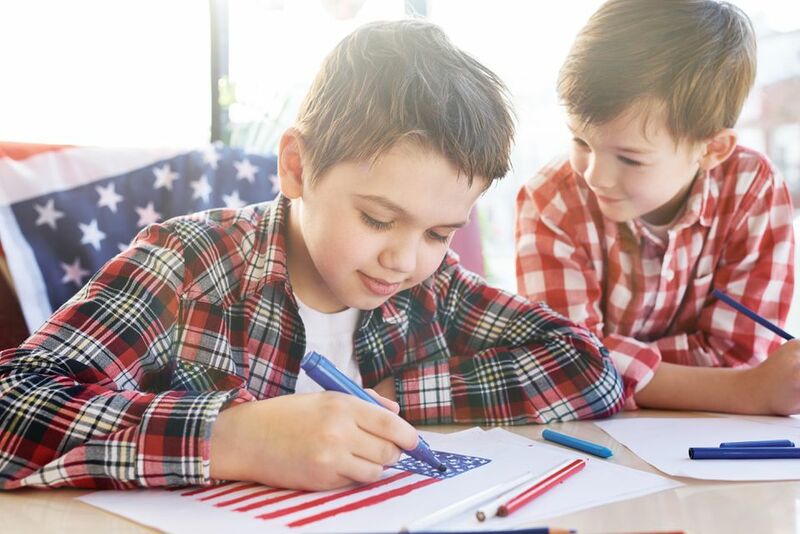 These 4th of July coloring pages will help your kids really celebrate the magic and history of American Independence Day. There are lots of images of fireworks and flags here or you can find other patriotic holiday resources or fun warm-weather images to keep the kids entertained. You can also use 4th of July clip art as inspiration so they can create all kinds of projects to celebrate Independence Day. Tip: Follow the directions on each website on how to print your coloring page so you can get it full-page and without any ads. Doodle Art Alley has a handful of unique Fourth of July coloring pages that you won't find anywhere else. There are images of the flag, fireworks, word art, ice cream, Uncle Sam hats, freedom bells, and more. It's easy to print these coloring pages, just click on a thumbnail that you like and print the PDF file directly from your browser window. 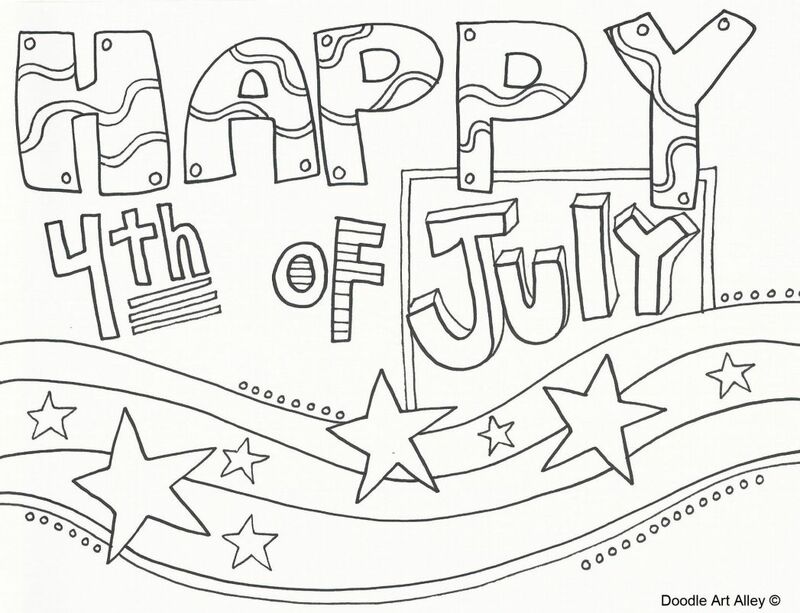 A great website to visit for 4th of July coloring pages is over at MomsWhoThink.com. Here you'll find almost 50 coloring pages of flags, maps, eagles, Americans, statutes, and more patriotic images. The 4th of July coloring pages here include images of maps, flags, the liberty bell, eagles, and patriotic fireworks. Click on the coloring page you'd like to print and then use the "Print" button to print it without any ads. There's a whole list of free 4th of July coloring pages at Preschool Coloring Book and you'll need to click on the links to view them. After you've clicked on a link then you can print the coloring page directly from your browser. There are flags, fireworks, drums, maps, and more that adorn these 4th of July coloring pages. All the 4th of July coloring pages here can also be printed as full-color posters. You'll find almost 20 free 4th of July coloring pages over at Coloring-Page.net. Included are coloring pages of the flag, Liberty Bell, Statue of Liberty, eagles, fireworks, maps, and more. All the 4th of July coloring pages here feature animals have some Independence Day fun. Choose your favorite patriotic animal like eagles, dogs, hand horses, and use the printer icon to print it out. There are two pages of 4th of July coloring page fun over at Raising Our Kids. You'll find free coloring pages with boys and girls celebrating 4th of July as well as other symbols of the holiday. There are lots of fun 4th of July coloring pages here with images of parades, fireworks, food, and historical images. All of the free 4th of July coloring pages here can be printed out or colored online. Find your favorite 4th of July coloring page here and vote on it to push it the top of the list. The coloring pages here can be colored online instead of printing if you'd like. You'll find a few 4th of July coloring pages with pictures of eagles, soldiers, flags, Benjamin Franklin, fireworks, parades, and other messages of celebration. You can print these coloring pages off as traditional coloring sheets or color them online before printing.